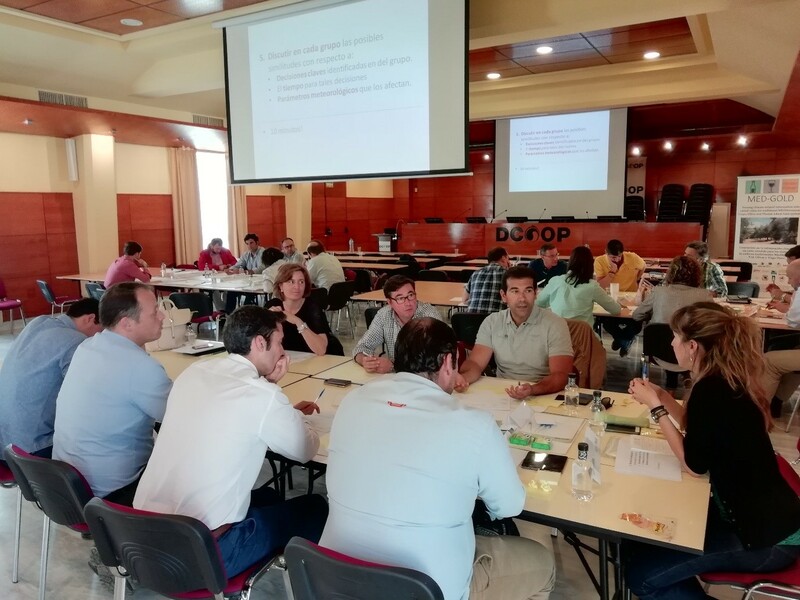 The MED-GOLD olive/olive oil workshop was held on June 12 at the Dcoop facilities in Antequera, Málaga, Spain. The workshop aimed to identify the needs of the users from the olive oil sector across the whole value chain and understand what kind of climate information could be of benefit to them. The workshop was an institutional and technical event attended by representatives from several institutions such as the Consejería de Agricultura Pesca y Desarrollo Rural (section of the Andalusian Government focusing in the agri-food sector), and some of the Spanish MED-GOLD project partners (GMV, BSC, ec2ce, and Dcoop). Each organization took part in discussion tables directed to understand the needs of the sector. Approximately 30 participants attended the workshop, where the whole Technical Field Department from Dcoop, including more than 20 agronomists, was involved and grouped in three round tables. The information collected will be analyzed and used as a starting point for the development of climate services for farmers and agronomists. These services will foster olive trees sustainability, as they will enable fact-based decision making such as deciding the best timing and frequency for olive trees sustainability and new olive groves plantation. 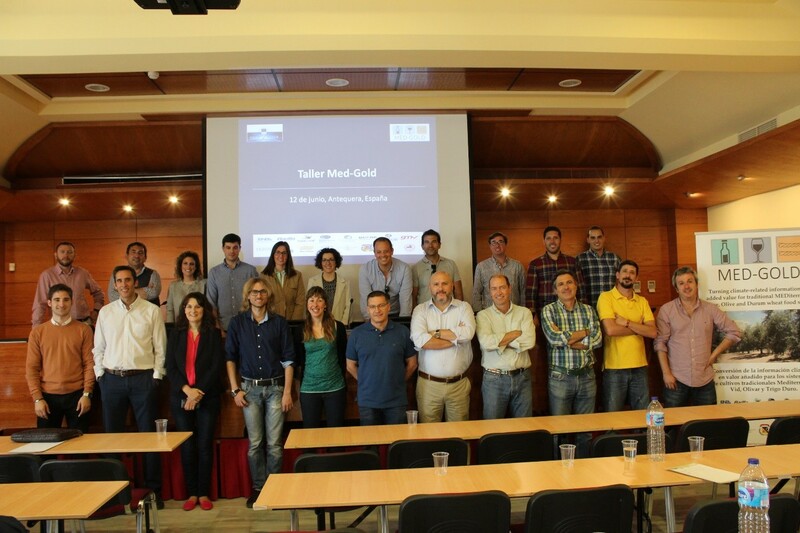 Together with users from the olive oil sector, MEDGOLD will identify the main meteorological variables for seasonal forecasts and climatic projections that will affect future decisions in the olive oil sector.